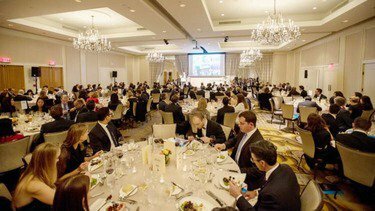 Over the past week GIR has revealed the shortlists for its third annual awards ceremony, which will be held on 25 October in Washington, DC at the Mayflower Hotel. The 2018 Awards will take place on the evening of 25 October after the GIR Live DC Fall conference, scheduled for that afternoon. GIR’s top 30 investigations practices will also be unveiled on the night, and the event will culminate with a career achievement award for one exceptionally respected and admired individual. Davis Polk had an impressive 2017, playing an important role in brokering Swedish company Telia’s trilateral foreign bribery resolution and securing a Foreign Corrupt Practices Act declination for IT company IBM. It built on that success by resolving a string of major cases for clients in 2018. Partners Kenneth Wainstein, Michael Sheinkman and Neil MacBride advised UK bank HSBC on a $101.5 million deferred prosecution agreement with the US Department of Justice to resolve allegations that it manipulated foreign exchange markets to the detriment of its clients. Partners James Rouhandeh, Julia Kiechel and MacBride guided Royal Bank of Scotland to one of the last of the DOJ’s major residential mortgage-backed securities settlements in May in a deal worth $4.9 billion. Meanwhile, partners Martine Beamon and Matthew Weinberg advised Zurich-based bank NPB Neue Privat Bank on a $5 million non-prosecution agreement with the DOJ for tax-related offences in June. The deal was favourable to NPB, which was classed as a so-called category one bank by the DOJ because it was already under investigation when the department launched its leniency programme in 2013. Hogan Lovells has secured notable successes this year in both the US and UK. First, partners Peter Spivack, Douglas Paul and Evans Rice guided Dun & Bradstreet (D&B), a data services company, to the first declination under the Foreign Corrupt Practices Act Corporate Enforcement Policy, a permanent version of the pilot programme introduced in late 2017. D&B also paid $9 million in a related settlement with the US Securities and Exchange Commission over conduct in China. Then prosecutors at the DOJ closed an FCPA action without enforcement action into Brazilian state-controlled electricity company Eletrobras, which was advised by Spivack and his São Paulo-based partner Isabel Costa Carvalho. A parallel SEC probe into Eletrobras’s practices in Brazil continues. Meanwhile, the firm’s London-based partner Michael Roberts represented mining company ENRC in its successful privilege battle with the UK’s Serious Fraud Office in a case before the Court of Appeal of England and Wales. The court ruled that privilege attached to ENRC’s internal investigation documents in a decision that has been hailed as massive victory for the UK defence bar. When it comes to resolving the largest government investigations into financial institutions, it’s hard to look past Sullivan Cromwell. And the past year has been no different. Sullivan & Cromwell’s Alexander Willscher advised UK bank Barclays on its first-of-a-kind declination with disgorgement for an alleged front-running scheme. Based on the company’s voluntary disclosure, cooperation and remediation, the DOJ decided to offer the company a type of resolution that previously was reserved for foreign bribery cases. The firm’s partners, including Richard Klapper, Jeffrey Scott and Jonathan Sedlak, also helped Barclays in March to a $2 billion settlement over civil charges relating to the DOJ’s residential mortgage-backed securities investigation. Sullivan & Cromwell’s Samuel Seymour, meanwhile, represented Bancorp in February on a $613 million deal with four US authorities, including the US Department of Justice, for violations of the US Bank Secrecy Act and anti-money laundering rules. The firm’s Ann-Elizabeth Ostrager guided mining company Kinross Gold Corporation to a modest foreign bribery settlement with the SEC in March. In the past few years, the firm has also acted as coordinating counsel to German carmaker Volkswagen in the emissions cheating scandal. In the past year there have been two major global foreign bribery resolutions and Debevoise & Plimpton played a role in both. First, there was Singapore oil rig builder Keppel Offshore & Marine’s multilateral foreign bribery resolution in December with authorities in the US, Brazil and Singapore. The deal was the first of its type to include Singapore and did not require the imposition of a monitor. Debevoise partners David O’Neill and Sean Hecker (who has since left the firm) led the settlement negotiations. Then in June Hecker was part of a team of lawyers that brokered for Société Générale a landmark joint foreign bribery resolution between the US and France – the first of its kind. The deal is representative of a sea-change in how US and French authorities work with each on white-collar cases. Hecker left Debevoise after the Société Générale settlement but not before reminding the investigations community that when it comes to the biggest global cases Debevoise & Plimpton, the firm that handled the game-changing Siemens probe, has unrivalled experience. 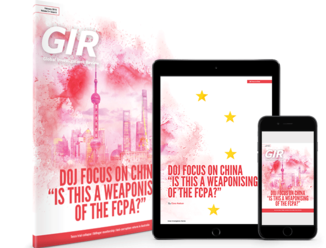 Reinforcing its position last year as GIR’s top investigations firm, WilmerHale was called in to investigate just about every type of white-collar problem you can think of: a data breach at credit-scoring company Equifax, trade secrets stolen from ride hailing company Uber and allegations of misconduct by advertising company WPP’s former CEO Sir Martin Sorrell. As well as taking on major cases, WilmerHale has also resolved several in the past year. The firm’s partner Boyd Johnson, who has since left for an in-house role, was part of a team of lawyers that worked on Bancorp’s $613 million settlement in February with US authorities over anti-money-laundering failures. A few months later, WilmerHale’s Ronald Machen, Kimberly Parker, Matt Jones and Erin Sloane helped Japan-based electronics company Panasonic secure its US subsidiary a $280 million FCPA settlement. The firm – and its partner Joel Green – worked on UK bank Barclays’ first-of-its-kind declination with the DOJ over allegations that it deceived a client. In addition, a WilmerHale team including Jamie Gorelick helped close out one of the final, major residential mortgage-backed securities case with Royal Bank of Scotland for $4.9 billion.